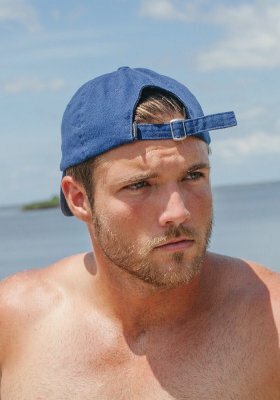 Jordan Kimball is denying Jenna Cooper's claims he had fabricated text messages indicating she had cheated on him and was using their Bachelor in Paradise engagement to make money and get ahead in her career. Jenna Cooper claims her investigation into the "fraudulent" text messages that were released last month and ultimately ruined her relationship with Jordan Kimball is ongoing but evidence has already been gathered proving her innocence. Jordan Kimball was head over heels in love with Jenna Cooper and absolutely crushed by their breakup after Bachelor in Paradise, according to the male model's close friend, Chris Randone. Bachelor in Paradise's engaged couple, Krystal Nielson and Chris Randone, are opening up about their relationship and whether they're interested in a televised wedding. Jenna Cooper and Jordan Kimball scandal: 'Bachelor in Paradise' host: If Jenna was faking it, she fooled me too! Jenna Cooper and Jordan Kimball's scandal has had everyone talking since Bachelor in Paradise's fifth-season finale, including franchise host Chris Harrison. Bachelor in Paradise's Jordan Kimball has confirmed his split from Jenna Cooper in light of her alleged affair and apparent proof she's faking their relationship to get ahead in her career.